The Big Bad Wolf is a standalone young adult paranormal novel featuring shifters. However, the paranormal aspects were underlying in the world-building. Not a complaint, just an explanation. Pack politics was the driving force, as well as a hefty dose of good ol' teenage angst. Kensey and Slade are the children to two rival alphas. As a female, Kensey has no rights once she is mated, used simply for the worth of her bloodline and forging bonds between packs. Our hero and heroine are informed they have to mate, so they take matters in their own hands. I read The Big Bad Wolf from cover-to-cover in one sitting. The novel featured a few of my favorite tropes. Fake relationship. Early childhood friends who had a falling out once hormones struck, adding a tension and a love-hate vibe. The good girl and the bad boy – "I'm not good enough for you" trope. Our parents don't want us to be together trope. Political gain. All of these tropes melded into a yummy page-turner that had me emotionally invested and rooting for Kensey and Slade's happiness. I highly recommend for readers who are seeking a novel featuring a paranormal twist, wanting to dive into a world where two kids find love against all odds. I look forward to reading more by this author in the future. Young Adult age-range: 13+ due to kissing and violence. 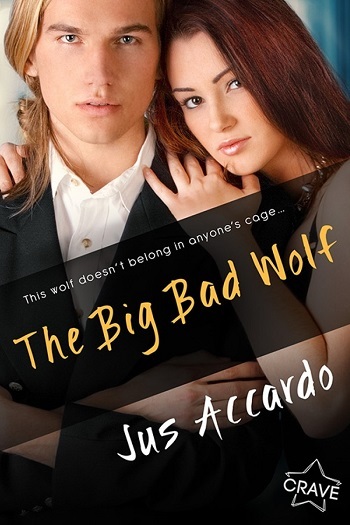 Reviewers on the Wicked Reads Review Team were provided a free copy of The Big Bad Wolf by Jus Accardo to read and review.